Details: The Miami Heat forward was arrested after officers found him stopped in his car in the middle of a Miami Beach road talking with other drivers and pedestrians. Upon exiting the vehicle, he was noticeably drunk and was taken into custody. 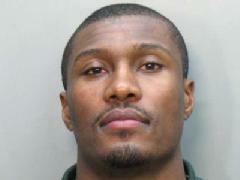 Posted on 03/01/2013, in 2000's, 2007, Drunk Driving, Miami Heat, P. Bookmark the permalink. Leave a comment.